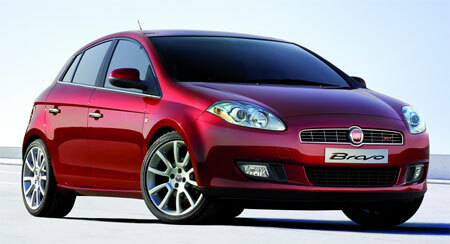 The latest generation of the Fiat Bravo hot hatch will be presented to media in Rome on the 29th of January 2007, and will go on sale in the following weeks in Europe first, and in the UK in summer. 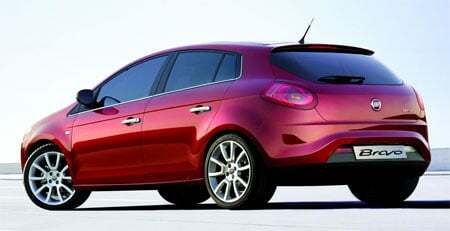 The new Fiat Bravo was styled by the Fiat Style Centre. You can see it still carries on key Bravo signature design cues, like the circle pattern in the tail lamps. There are also similiar cues to the Mercedes Benz B-Class to be seen in the side profile. The new Bravo is a five-door compact hatch 434 centimetres long, 179 cm wide and 149 cm high, with a wheelbase of 2.6 metres, and a loading capacity of 400 litres. Engine options consist of two variants of 1.9 litre MultiJets putting out 120hp and 150hp, an economical 1.4 litre making 90hp as well as two 1.4 litre T-JET turbocharged petrol engines making 120hp and 150hp. With the new Bravo also comes a new Fiat corporate logo, derived from the famous shield that adorned the front of Fiat cars from 1931 to 1968, with the vertically elongated letters of the word FIAT standing out against a ruby red background, encased in a chromed frame. 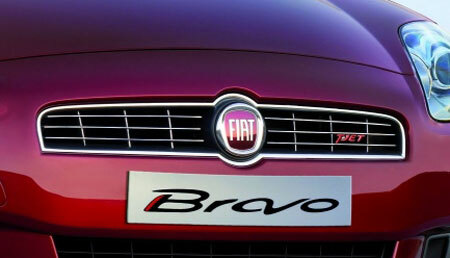 Have a look at an larger image of the new Bravo’s grille showcasing the new Fiat corporate logo after the jump, as well as more photos of the new Fiat Bravo.